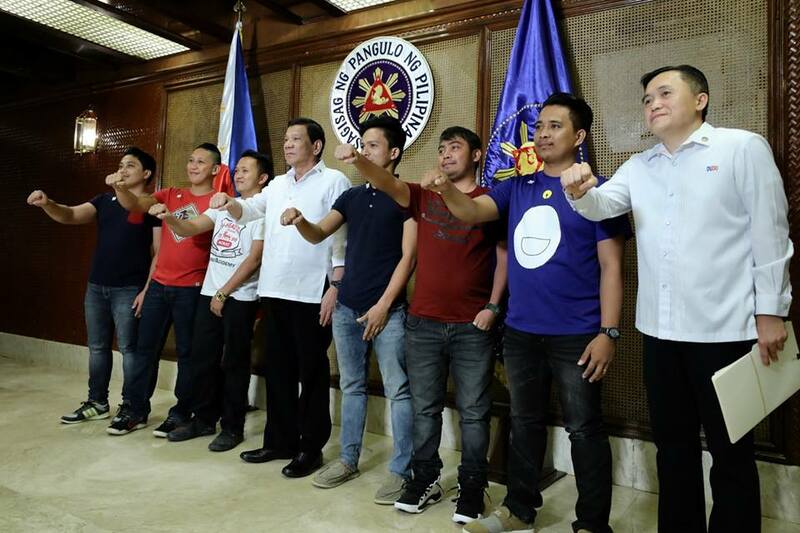 President Rody Duterte meets with the utility service personnel of the Abreeza Ayala Mall of Davao who were given a chance meeting with the President at Malacañan Palace on August 6, 2018. Prior to meeting the President, Sec. Bong Go of the Office of the Special Assistant to the President took them on a tour of Manila and watched a Philippine Basketball Association (PBA) game. 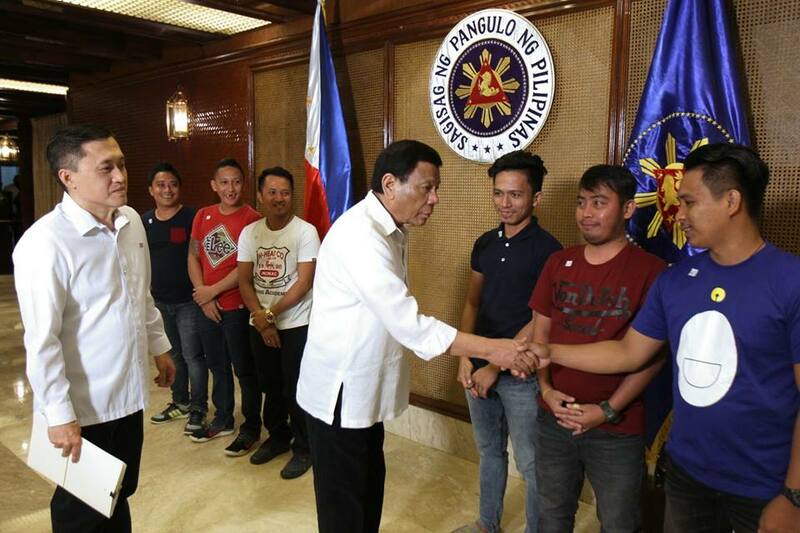 President Rodrigo Roa Duterte greets the janitors and utility service personnel of Abreeza Ayala Mall of Davao who were given a chance meeting with the President at Malacañan Palace on August 6, 2018. Prior to meeting the President, Sec. Bong Go of the Office of the Special Assistant to the President took them on a tour of Manila and watched a Philippine Basketball Association (PBA) game. 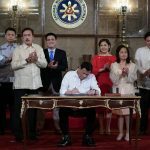 President Rodrigo Roa Duterte strikes his signature pose with Sec. 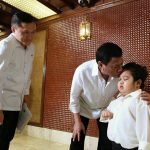 Bong Go of the Office of the Special Assistant to the President and the janitors and utility service personnel of the Abreeza Ayala Mall of Davao who were given a chance meeting with the President at Malacañan Palace on August 6, 2018. Prior to meeting the President, Sec. Go took them on a tour of Manila and watched a Philippine Basketball Association (PBA) game.